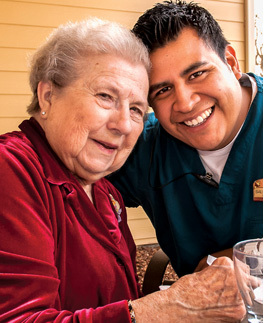 Our goal at Parkview Memory Care is to assist you in maintaining a rich relationship with your loved one while providing an environment designed to help them thrive. Should the day arrive when care at home is no longer beneficial to you and your loved one, please know we are here to support you as you seek out new options. Our communities proudly offer personalized care, engaging environments, and an exceptional team of professionals that nurture the body, mind, and spirit, enable free choice, and encourage independence in a safe, secure and loving setting. We are here to create a new vitality for your loved one because at Generations we’re family.